Detection is the First Step to Prevention! Action K-9 Security | The Best in K-9 Security! Superior Protection for What Matters the Most! Action K-9 Security’s primary objective is to present our clients with the latest security tactics, strategies, and technology, while constantly maintaining the ethics and professionalism set forth by our founder over 40 years ago. We provide some of the best-trained guard dogs in Illinois, as well as being a highly recognized and decorated security company in Illinois. 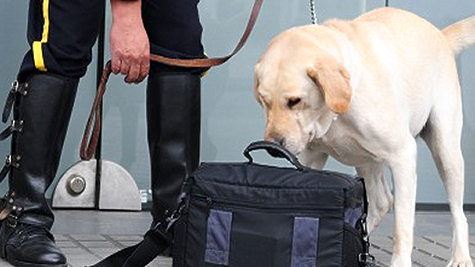 Canines are a critical component to the effectiveness of our security services programs. They are a time-tested, less-lethal alternative to the conventional methods commonly employed by security providers, past and present. Most security companies that provide private security officers in Illinois are highly skilled, but do not have the same benefits that we do, with guard dogs in Illinois. Unlike many security providers, guard dogs are fully integrated into nearly every division of our operation, whereas other providers merely use them as a marketing device. You should do your research before choosing a security company in Illinois, and test the one that has the largest variety of security programs. This security company in Chicago, IL fits that bill. The mission of Action K-9 Security Inc. is to establish priority & peace of mind for each and every one of our clients, large or small. ACTION K-9 SECURITY IS THE LEADER IN K-9 SECURITY! Our K-9 units are the chief component in our system. Guard dogs in Illinois are excellent tools in the security services industry and have been for a long time for our security company in Chicago, IL. Most military dogs are trained in security tactics more than any other obedience because of the canine’s natural abilities to execute the duties regularly associated with security detail. For example, a security guard’s main objectives are to observe and report; as well as observe any activity deemed unacceptable and report that activity or activities to the proper personnel. 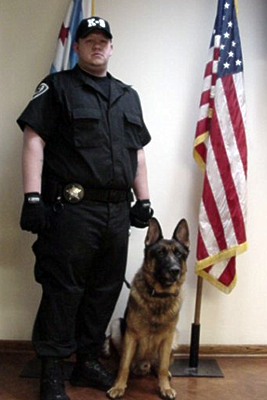 A K-9 unit’s sense of smell and hearing is greater than a human’s by leaps and bounds. This affords the K-9 unit a greater observation radius and is able to cover much more ground. Additionally, a guard dog is able to detect the faintest odors and hear the quietest noises, which makes the K-9 able to pinpoint a problem quicker than a security officer alone. This gives our security officers in Illinois a greater set of tools and efficacy that many other security companies. Another advantage of K-9 units is their ability to deter crime and violence. Statistics show that a security officer with a K-9 unit as a companion has the ability to deter more crime than two armed security officers. Professional, well-trained K-9 units create a greater perception of higher-level security by their mere presence. This means that security officers in Illinois who use these security services in Chicago, IL are more likely to be effective in deterring harm. For example, let’s say there is an unruly individual refusing to leave the property. That individual is more likely to respond in a hostile manner toward an armed security officer than he would toward an officer with a trained guard dog on their side. Action K-9 Security is always an advocate of safety. As such, an Action K-9 Security guard dog will only follow the commands of its handler: no one else. Call it a safety mechanism but if a hostile individual gains access to an officer’s weapon there can be serious trouble ahead. That would be impossible with a highly trained security service K-9 unit from Action K-9 Security, Inc.
With Action K-9 Security, you will have peace of mind. Action K-9 Security officers are supported by a network of field supervisors throughout the city to ensure safety of our officers and your assets. 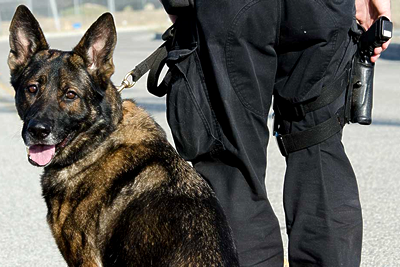 Communication is of the utmost importance, which is why Action K-9 Security is Nextel connected with its own sub-network to ensure officers are able to communicate under any condition. Officers adhere to a thirty-minute check-in schedule to provide a constant update of any activity. K-9 Detection Unit – K.D.U. Graffiti & Vandalism Tactical Unit – G.T.U. Executive Protection Unit – E.P.U. Officer Deployment Unit – O.D.U. Guard Dog Unit – G.D.U. Let one of our knowledgeable security consultants construct a multi-layer security program to serve your security needs.